it got me quite interested in this fascinating technology. This resulted in several attempts to get another typeball machine, ideally in working condition or at least easily repairable. 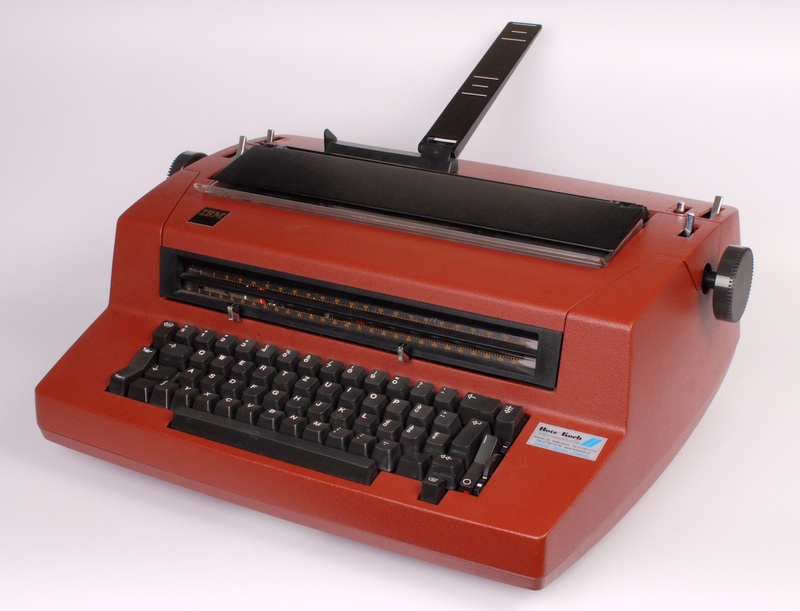 second Hermes 808 (not working either) and finally this IBM Selectric III, probably dating from 1981 and in perfect working condition. 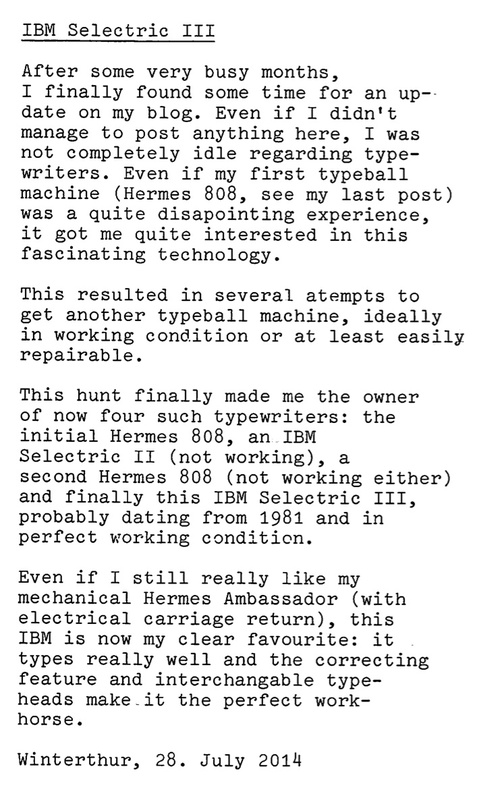 Even if I still really like my mechanical Hermes Ambassador (with electrical carriage return), this IBM is now my clear favourite: it types really well and the correcting feature and interchangable typeheads make it the perfect work horse. 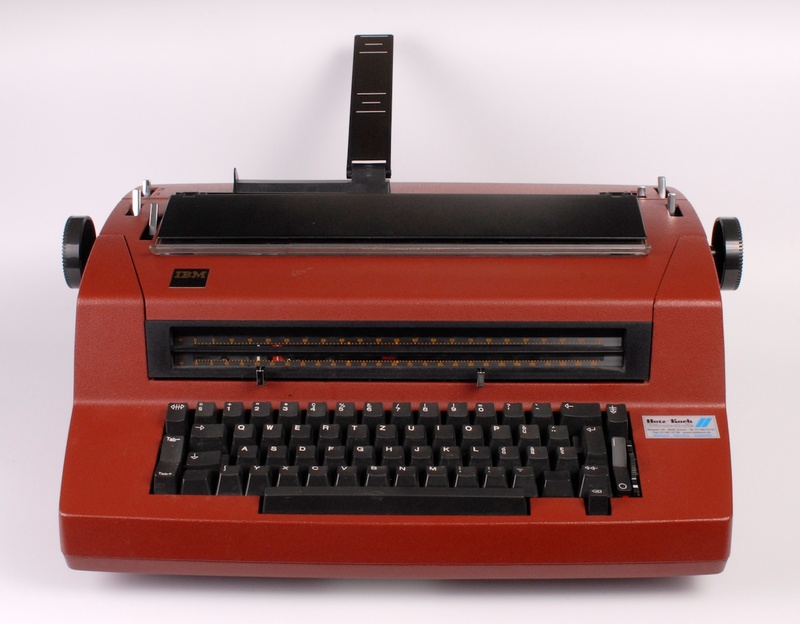 This Post was tagged IBM Selectric III, Typecast. Bookmark the permalink. Very nice! And a nice red color too! I have 3 Selectrics now and love them all! A most dignified machine which seems to type well. Nice looking machine. The near-perfect output and the wonderful keyboard are the reasons they were loved by millions. They were designed to be dependable office workhorses that were used everyday. Enjoy! Thank you for your comment. I fully agree with you except for the keyboard. From the 3 IBMs I own (a Selectric II, a Model D Executive and the Selectric III) the two older ones really have wonderful keyboards, but this is unfortunately not the case for the Selectric III: it just feels quite cheap (or modern…) compared to the others. This is one of the major reasons I have kept the Selectic II, even if I’m not yet shure if I will manage to get it working.